Can forests think? Do dogs dream? 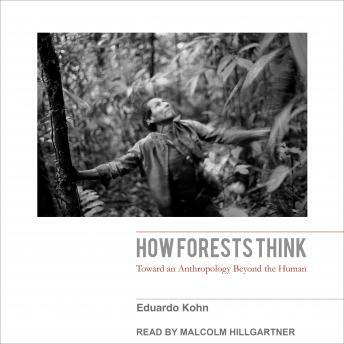 In this astonishing book, Eduardo Kohn challenges the very foundations of anthropology, calling into question our central assumptions about what it means to be human-and thus distinct from all other life forms. Based on four years of fieldwork among the Runa of Ecuador's Upper Amazon, Kohn draws on his rich ethnography to explore how Amazonians interact with the many creatures that inhabit one of the world's most complex ecosystems. Whether or not we recognize it, our anthropological tools hinge on those capacities that make us distinctly human. However, when we turn our ethnographic attention to how we relate to other kinds of beings, these tools (which have the effect of divorcing us from the rest of the world) break down. How Forests Think seizes on this breakdown as an opportunity. Avoiding reductionistic solutions, and without losing sight of how our lives and those of others are caught up in the moral webs we humans spin, this book skillfully fashions new kinds of conceptual tools from the strange and unexpected properties of the living world itself. In this groundbreaking work, Kohn takes anthropology in a new and exciting direction-one that offers a more capacious way to think about the world we share with other kinds of beings.